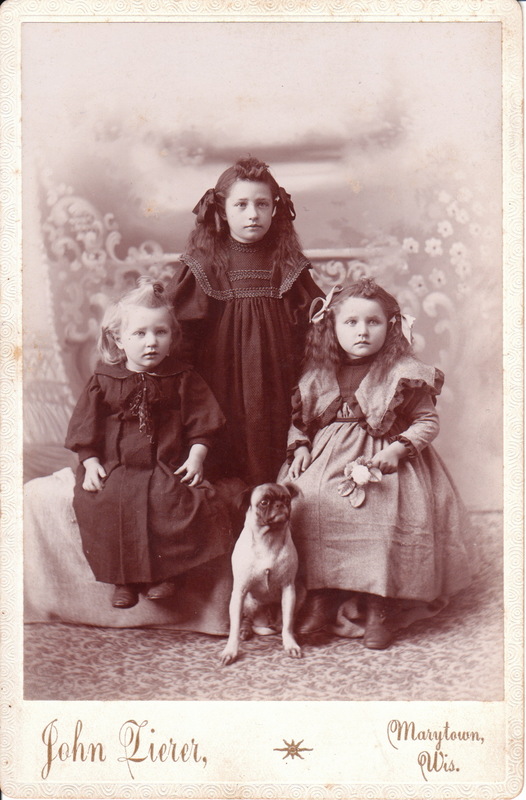 This cabinet card portrait features three little girls posing for their portrait accompanied by a canine companion. The dog appears to be a pug although it may be one of the skinniest pugs I’ve ever seen. The dog seems to be quite alive but one never knows. There are many cabinet card photos that include stuffed dogs that look quite real. I suppose photographers of the time liked stuffed or ceramic dogs better than live dogs because the faux dogs don’t move or blink while being photographed. The children in this photograph don’t seem to be having a particularly good time. However, they are certainly adorable in their fancy clothes and coiffed hair. One of the girls is holding a flower. 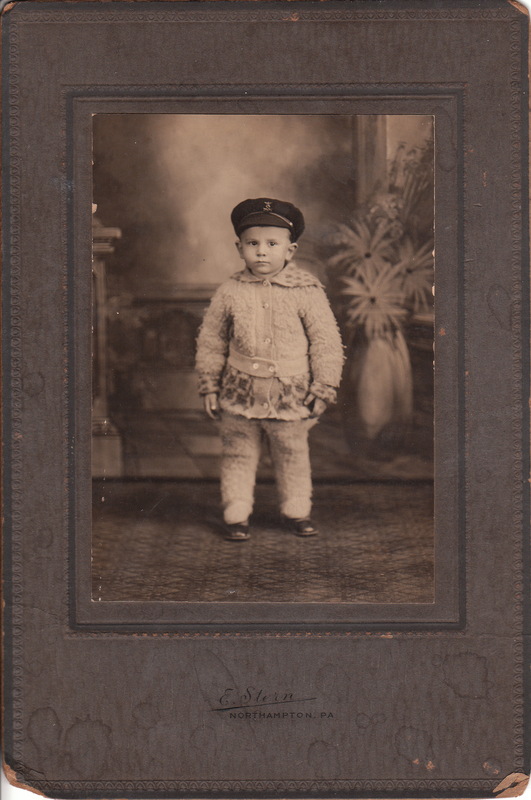 The children were photographed by John Zierer and his studio was located in Marytown, Wisconsin. The Fond du Lac (Wisconsin) library’s web site has an article that cites Zierer. “John Zierer was the local photographer, residing at the foot of the church hill. Much of his business centered on taking First Communion, graduation and wedding photographs for members of the community”. This vintage photograph features a portrait of three uniformed young female salvation army workers. 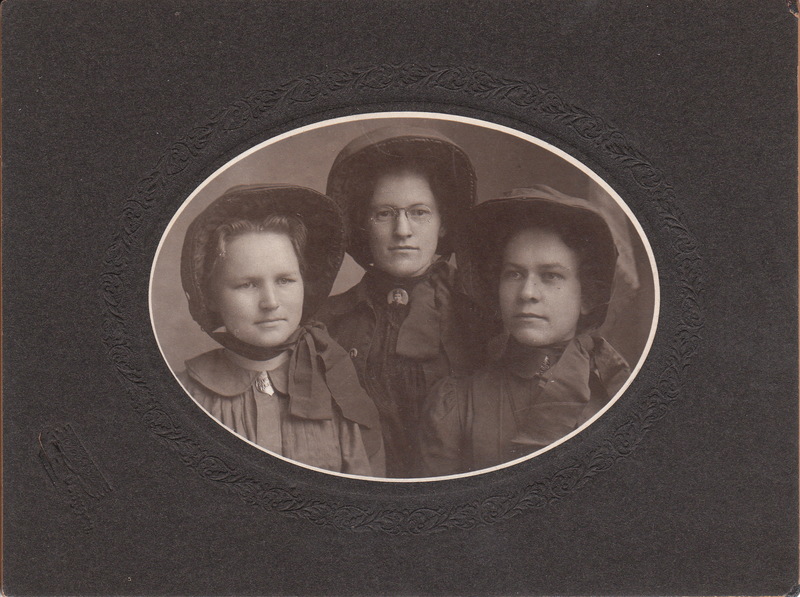 The woman on the left is wearing a salvation army badge at her collar while the the bespectacled woman in the center is wearing a celluloid pin with a woman’s photograph on it. These young ladies look quite serious as they pose for their photograph. An inscription on the reverse of the image indicates that this photograph was taken at a studio in Oshkosh, Wisconsin. To view more photographs of salvation army members, click on the category of “Salvation Army”. This vintage photograph features an adorable young boy wearing a wooly snow suit with matching leggings. He is also wearing a naval officer’s hat that has an eagle emblem. The photographer is the E. Stern studio in Northampton, Pennsylvania. 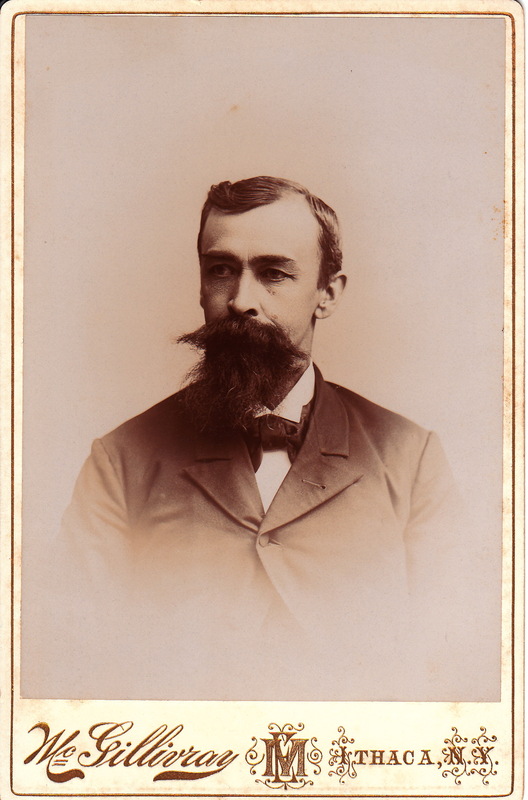 This cabinet card portrait features the portrait of a well dressed older man wearing a well groomed long beard. The reverse of the photograph identifies the gentleman as being Dr. Baker. The photograph was taken at the studio of Taylor & Martin. An ad for Taylor & Martin was found in a Chicago Business Directory (1887). The ad included the information that the studio was formerly called Gentile & Company before Taylor and Martin assumed ownership. To view more photographs by this pair, click on the category “Photographer: Taylor & Martin”. 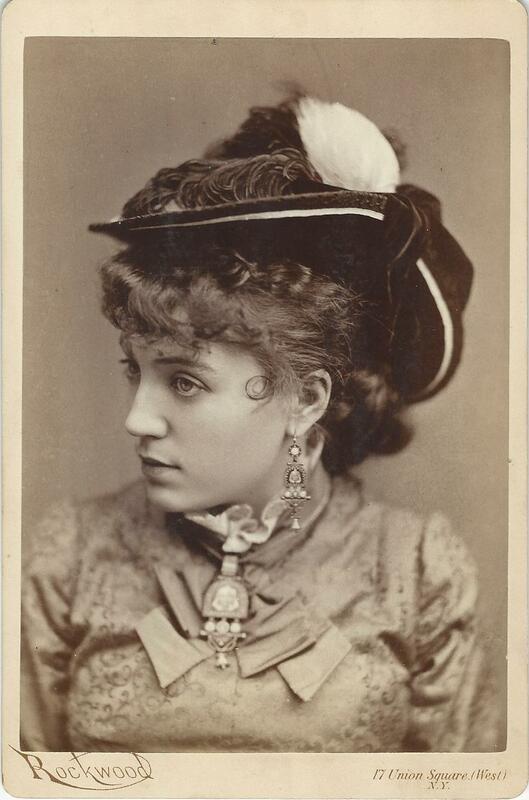 This cabinet card portrait captures a curly haired young woman posing for her portrait at the Lupton studio in Burlington, Iowa. 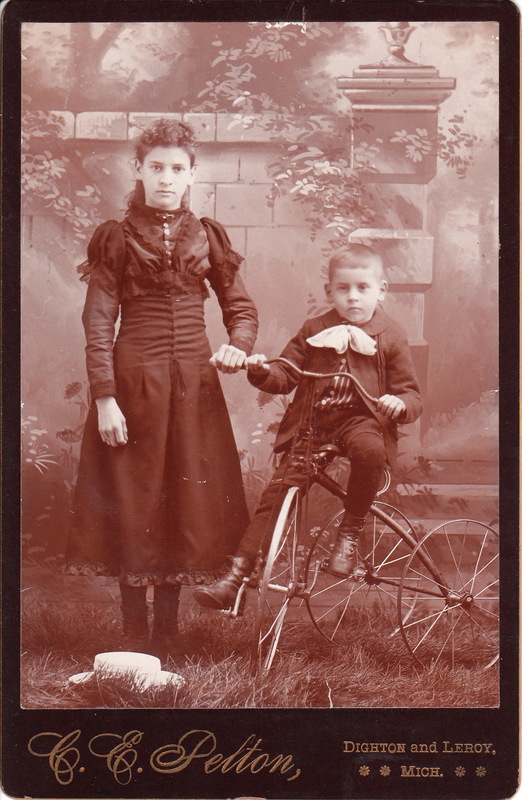 Note the woman’s lace collar. One wonders about the meaning of her clasped hands. Is she deep in prayer? Is she overwhelmed by worry. The photographer of this image is Oscal L. Lupton who was born in 1849 in Indiana. He appears in the 1880 US census and is listed as working as a photographer in Greenville, Illinois and living with his wife Nellie. The 1900 US census finds Mr Lupton living in Burlington with his wife and three sons. The Cabinet Card Gallery has discovered another mouthless man. This gentleman posed for his portrait at the McGillivray studio in Ithaca, New York. The studio was located at 28 & 30 East State Street. Those that know Ithaca winters can imagine this gentleman trudging through mounds of snow in frigid temperature with a frozen beard and mustache. To view other interesting beards an mustaches, click on the category “Beards (Only the Best)”. Research found some information about the photographer of this image. Ellsworth McGillivray was born in Caroline, NY in 1862. He attended the Ithaca school system and after he left school he became a painter. 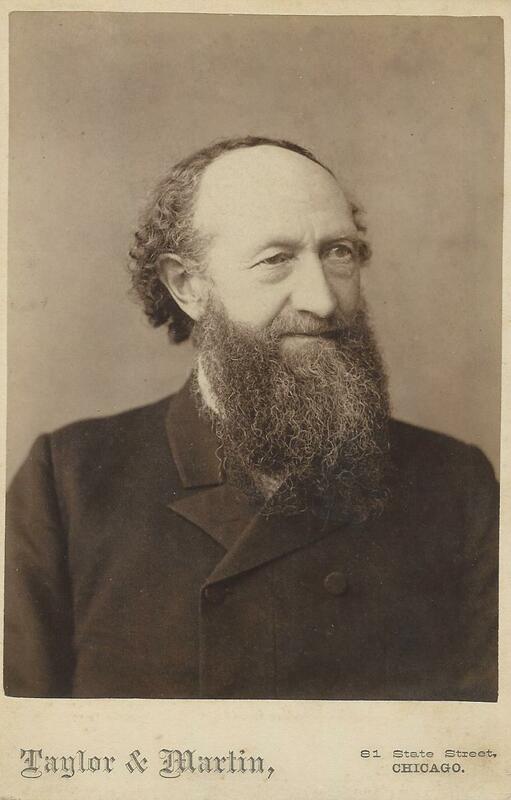 In 1881 he began his career as a photographer. He worked for photographer George Stanley for two years and then was employed by E. D. Evans for six years. He then worked in Cortland, NY for one year before returning to Ithaca in 1890 and buying the Forest City Art Gallery. 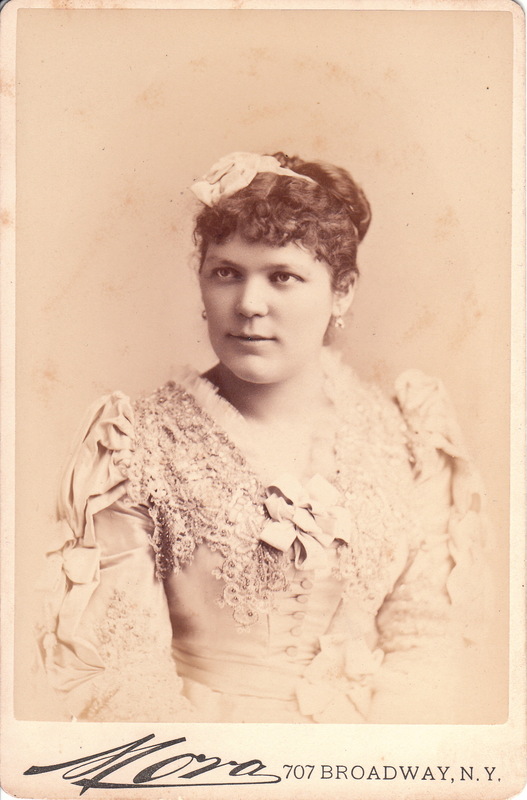 McGillivray was married to Jessie L Shaw of Albion, NY. 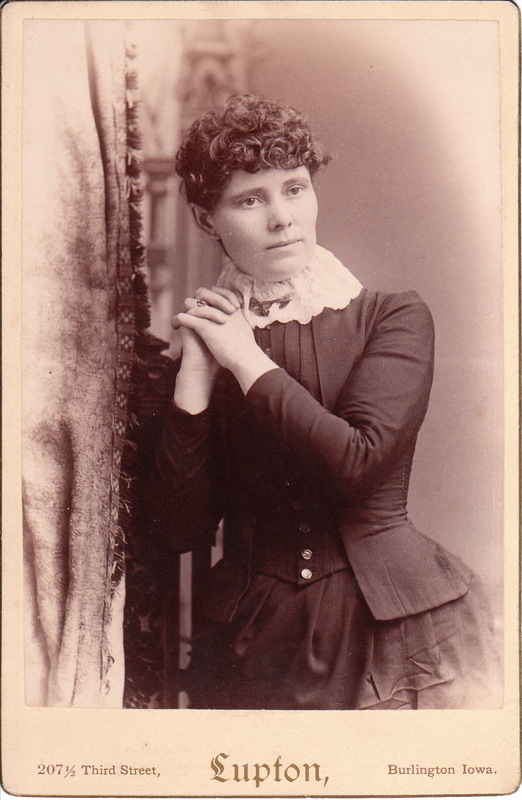 A serious looking young woman poses with her book in this cabinet card portrait by Edgar Gregson, who had studios in both Halifax an Blackpool, England. 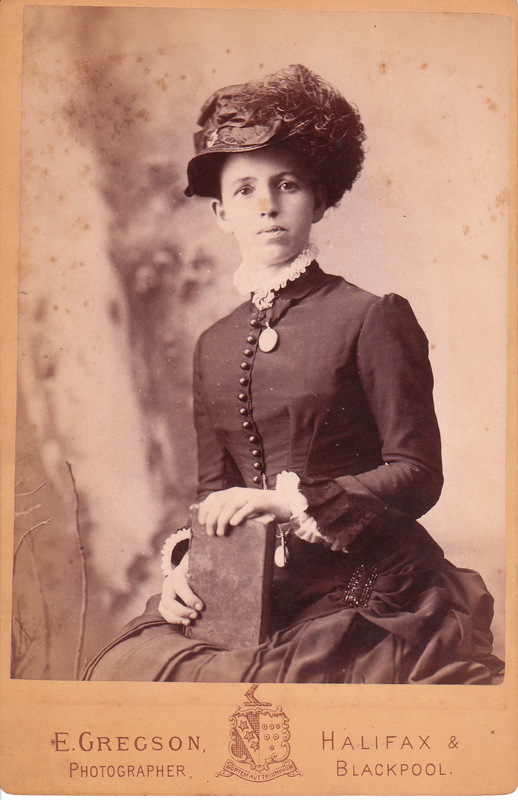 The woman is wearing a pretty hat, ruffled collar, and jewelry. There also seems to be a bookmark hanging down under the woman’s left hand.